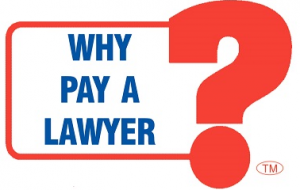 WHY PAY A LAWYER?™ is the best paralegal-assisted (without a lawyer) solution for any uncontested or contested divorce (with or without children) that will be filed in the State of Arizona. We will eliminate the stress & expense of concluding your divorce. When you have been served with papers & you do not agree with what the other is asking for, you must file a Response or the other party will automatically get what they asked for in the petition. WHY PAY A LAWYER?™ for Divorce. Free Consultation. Make Appointment Today. Dissolution of marriage (or divorce) is a court procedure to end the marriage, provide for child custody, support, visitation, division of community property & debts, & in some cases, spousal maintenance (or alimony). Throughout this document, the words Dissolution & Divorce may be intermingled and construed to mean the same. Either you or your spouse must live in Arizona or have been stationed in Arizona while a member of the Armed Forces for at least 90 days before you can file for a divorce or legal separation. What 'reasons' must I have in order to get a divorce? No reasons or “grounds” are required to get a divorce in Arizona, other than one spouse’s belief that the marriage is irretrievably broken & cannot continue. If either spouse believes the marriage can be saved & is not irretrievably broken, he or she can ask for free marriage counseling through Conciliation Services. 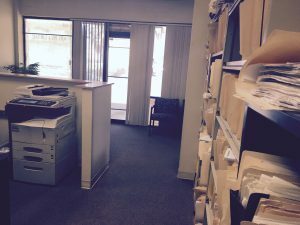 One spouse, called the Petitioner, files a request or a Petition for Dissolution of Marriage (along with several other required papers) with the Clerk of Court & pays the filing fee. The other spouse, called the Respondent, is served with the Petition & other papers. If the Respondent does not agree with what the Petitioner has requested in the Petition, the Respondent must file a Response no later than 20 days (30 days if out of state) after he or she was served with the papers. However, if the Respondent agrees with everything contained in the Petition, then a Response is not necessary. If the Respondent did not file a Response in time and is “defaulted,” a brief default hearing is held in court in which only the Petitioner is required to be present to testify & submit the Decree of Dissolution for the commissioner or judge to sign. At any time the spouses may agree on custody, visitation, child support, property & debt division, spousal maintenance or any of the other issues that have not been agreed to earlier. The total agreement approved & signed by both spouses must then be made part of the Decree of Dissolution & presented to the judge or commissioner for approval.